Things aren’t always as they seem. Assessed from a distance or with a cursory glance, an object can appear to have certain obvious qualities. 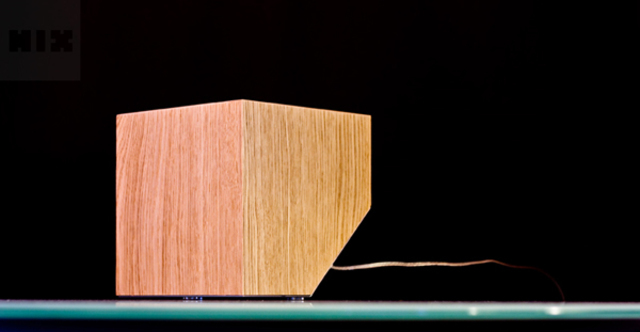 You might take for granted, for instance, that the block of wood pictured here is just what it looks like: a solid block with a corner cut out of it. You’d be wrong. It’s actually hollow, and it’s got quite a surprise in store when you follow the electrical cord emerging from it. 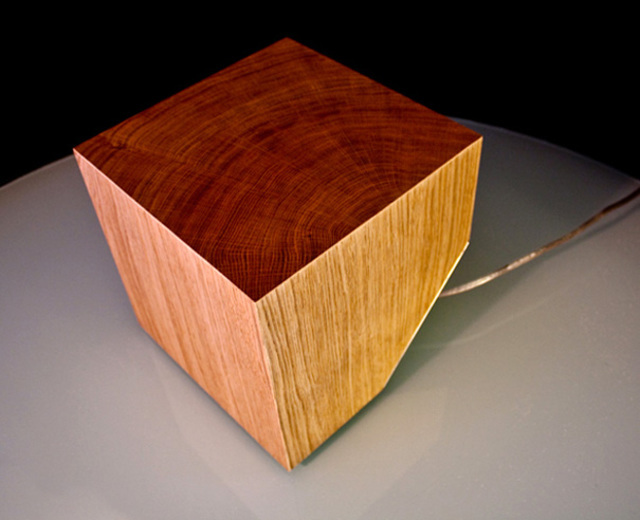 Flush corner joints and properly-oriented grain might make it look just like a block of wood carved straight from a tree, but the flick of a switch reveals the object’s hollow nature, and also its true use: as a lamp. 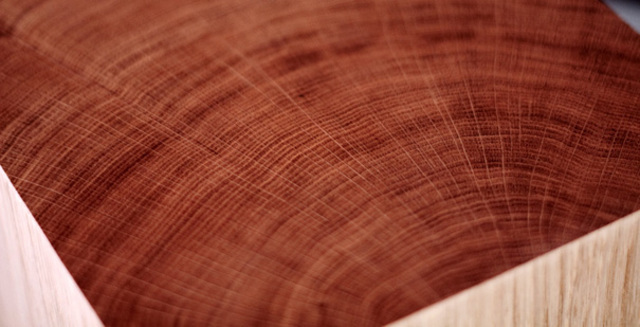 The wood is just a veneer, and a thin one at that, allowing light to shine through from inside. 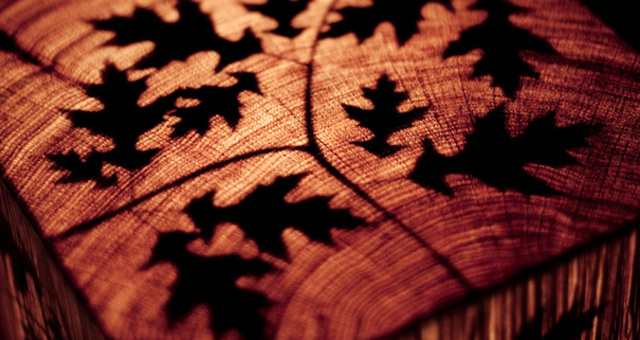 Once illuminated, it reveals a hidden pattern of leaves. The biggest worry with this creative kind of concealment is that someone might pick it up too fast, expecting to hold a heavy wood chunk in their hands, and accidentally throw it across the room. Well, that, or they could just try to sit on top of it, expecting it to be sturdy and solid. 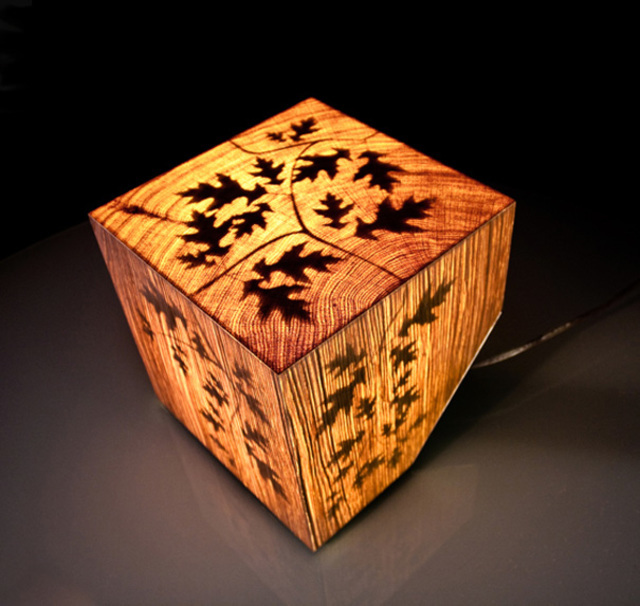 Not to nitpick, but the leaf pattern might be a slight step too far for the French designers that made the “CUB” lamp. A floral motif does not really seem necessary when the simplicity of the light against the textured grain of the wood is itself so rich and warm. Still, it’s a beautiful design, and one that makes us wish more decorative objects had surprises in store once we interact with them. Do you prefer the design as it is, or does this creative translucent wooden lamp idea make you want to DIY a different version of your own?